Hartsville, SC – Washington Monthly magazine’s “The Other College Guide” has ranked Coker College as No. 5 out of 288 colleges in the Southeast region that deliver the “Best Bang for the Buck.” This marks the third consecutive year that Coker has been included in this particular list. Washington Monthly’s methodology aims to measure the economic value students receive per dollar. The ranking determines which schools are the best value based on “net” (not sticker) price, how well they do graduating the students they admit, and whether those students go on to earn at least enough to pay off their loans. To better serve incoming students, Coker’s financial aid team provides one-on-one counseling to determine the best financial aid packages available for each individual. At Coker, roughly 95% of students receive some type of financial aid. “The Other College Guide,” inspired by and including Washington Monthly magazine’s signature college rankings, provides a set of guidelines intended to help students find the right school and excel once they get there. The guide ranks schools based on the best available data to answer such questions as: Which schools will charge students a fair price and not bury them in debt? Which help students graduate? Which provide degrees that allow students to earn a decent income? The guide also includes chapters on finding the best-fit schools, making the most of the first year, and the real deal about money, loans, and preparing for the world of work. For more information on Washington Monthly’s 2015 Best Bang for the Buck rankings, visit http://www.washingtonmonthly.com/college_guide/rankings-other-college-guide/best-bang-for-buck-southeast-rank.php. 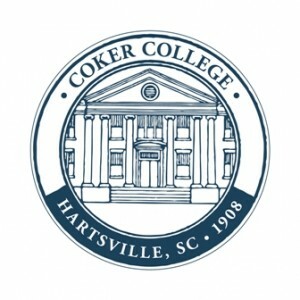 For information about admission to Coker College, visit https://www.coker.edu/future-students. For more information about the Adult Degree Program, visit https://coker.edu/adult-degree.